Billy the Pyro starts with our main character, the titular Billy, giving us an insight into his rather pessimistic worldview. He’s sullen, employs a staunch me-against-the-world attitude, and likes to burn stuff (‘who doesn’t?’ he even asks) with his pyrokinetic ability. But as the first issue progresses, we’re given reasons and situations that put everything into perspective regarding why Billy is how he is. He has problems at home, his father is a jerk, and the last thing he wants to do is go and see a psychiatrist every month and take medicine to help him control himself. It’s a familiar adage. But right from the first few pages, one of my first impressions about him is that he’s a survivalist—he’s aware of his surroundings and of the danger that he lives in, and he’s willing to do anything to stay out of it. That’s not to say he stays uninvolved. Billy has a rage problem and is a bit of a deviant, refusing to let people take advantage of him or talk down to him, regardless of who they are. He knocks things over. He talks back. There’s a point where Billy sets a bum on fire and is genuinely pleased about his actions, and it’s clear he fears very little, including (on some level) the consequences of his actions. 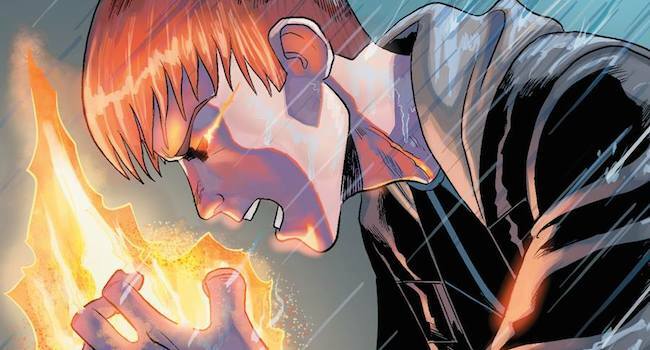 Even in the absence of his powers—or rather, an inability to summon them at will—Billy is a fighter, sarcastic, and perhaps most importantly, Billy is angry. I read the first two issues of Billy the Pryo and thoroughly enjoyed both of them. The first issue gives a look into Billy’s life and how he gets messed up with GAPRI, and the second issue gives a little more backstory regarding his origins—and even more information on the elusive GAPRI. Both were well-written and very interesting, setting up what has the potential to develop into an interesting, intriguing story. Definitely one of the things I enjoyed the most about these two issues was Billy’s voice. He has a callous, straightforward way of interacting with the other characters in the story, a ‘no-b-s’ way of asking the questions and if he doesn’t get the answers, he’s out. Billy is about self-preservation, which can lead to interesting moral dilemmas in future issues. The comic itself was beautiful, too—everything popped on my screen, the dialogue matched the facial expressions, and all of the fire panels were awesome. Bright oranges and reds really give a feel for the incredible—and devastating—potential of Billy’s power. The issue even closes out with some really cool pages that have burn marks on them, giving an added element to the overall feel and tension of the story. And there was a subtle little ‘thing’ in one of the panels—Billy’s ability seems to be fueled by his very hot temper, and in one of the panels a billboard in the background says ‘Have trouble controlling your temper?’ I like those kinds of things. I look for those kinds of things. There’s a myriad of possibilities here with where this story can go, and I like that in any work. It’s got a sci-fi feel about it with a story grounded in a character that has very human issues. Yes, the story isn’t anything we haven’t heard before with the whole ‘I want nothing to do with you and your secret corporation crap’ and of course, the superpowers, but I’m interested in Billy’s story in the way that I would be interested in any superhero story. Does Billy use his powers for good or evil? Who are the people that make up the mysterious GAPRI, and do they really want to help him? Or are their intentions considerably more nefarious than they’re letting on? These are questions that I’m sure will be answered in future issues. 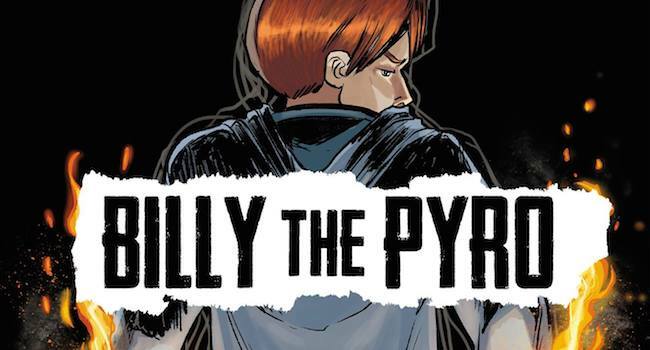 Billy the Pyro is definitely a series to pick up and read and I’m hoping that future issues will be just as well done as this one.